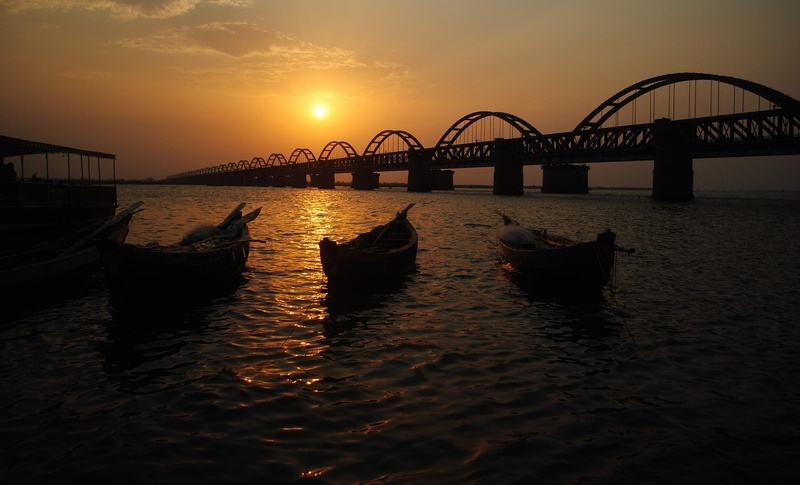 Annavaram is a village situated on the banks of the pampa river in the East Godavari district of the Indian state of Andhra Pradesh. Anna translates to "what you desire", while "varam" means boon or godsend. Hence, the name Annavaram is an expression of the belief that the deity will endow one with whatever one desires. The most distinctive feature of Annavaram is the shrine to Lord Veera Venkata Satyanarayana Swamy situated upon the Ratnagiri Hills. The land is considered to belong to both Lord Sri Veera Venkata Satyanarayana Swami Temple and Goddess Anantalaxmi Satyavathi Ammavaru. National Highway 5 passes through Annavaram. The Andhra Pradesh State Road Transport Corporation operates bus services from Annavaram bus station. Annavaram railway station is located at the main Howrah-Chennai main line. It is classified as a B–category station in the Vijayawada railway division of South Central Railway zone.